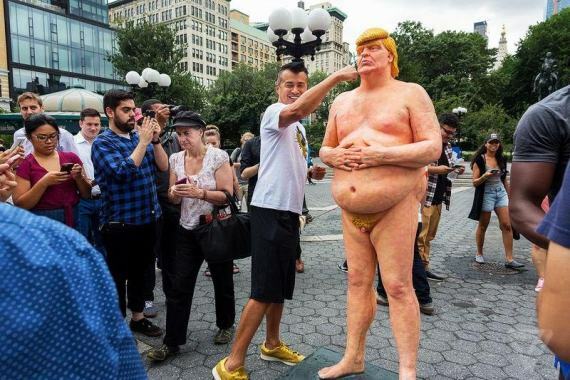 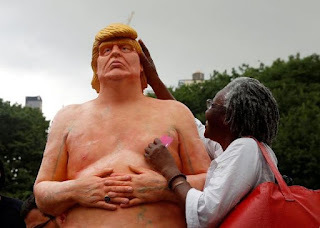 A life-size, flesh-coloured statue of a completely naked Republican presidential nominee Donald Trump popped up at Union Square in downtown Manhattan but has since been removed by New York authorities. The statue is the work of a group of artists known as Indecline, which, by placing the figure of the real estate mogul in the middle of a heavily crowded area were aiming to protest the attitudes and statements of the Republican candidate, EFE news reported. 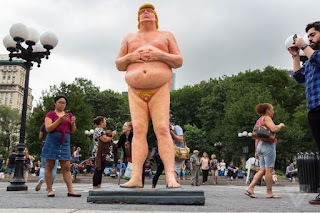 The paunchy Trump stood glued to the square for about two hours before personnel from the city's Parks Department removed it, with the department saying in a communique that it is illegal to display artwork in public without the proper permits. 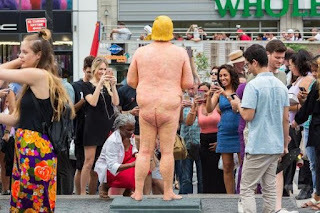 However, before it was removed, passersby, tourists, were able to take pictures of - and with the sculpture. The group carried out similar protests against Trump in Seattle, Cleveland, Los Angeles and San Francisco. 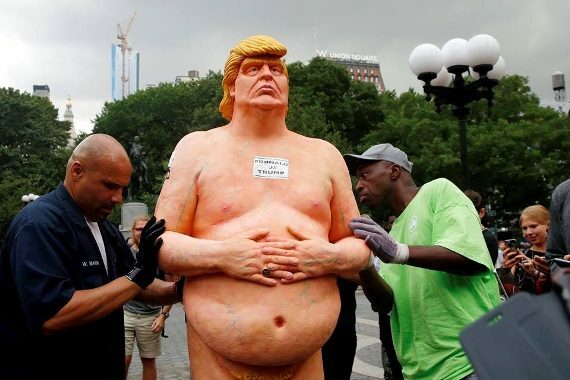 "Unlike the statues, it's our hope that Donald Trump, our modern day Emperor of Fascism and Bigotry is never installed in the most powerful political and military position in the world. These fleeting installations represent this fleeting nightmare, and in the fall, it is our wish to look back and laugh at Donald Trump's failed and delusional quest to obtain the presidency," Indecline said in a statement.